The Pentagon is pushing back on media reports suggesting that a major U.S.-Israel war game was postponed at the direction of the United States. But confusion and finger-pointing over why the exercise was postponed have persisted--with at least one American pro-Israel group, the Zionist Organization of America, issuing a press release Tuesday morning blasting the Obama administration for the delay. Former Bush White House Middle East hand Elliott Abrams also took to his blog Monday to chastise what he interpreted as the Obama administration's retreat in the face of Iranian provocations. Panetta, according to these Pentagon sources, was concerned that the Iranians would interpret the scrubbing of the exercise, well, the way it's currently being interpreted, as a sign of American wavering in the face of Iranian threats. He told Barak that he would not agree to a cancellation, as Barak was suggesting, but only a postponement. "Panetta's initial reaction was, 'I don't want to take this off the calendar.' He said it would send the wrong signal." After multiple conversations, Panetta and Barak agreed to postpone Austere Challenge 12 until fall. Whether Israeli officials will now acknowledge the Pentagon's version of events--especially given the fact the U.S. administration is taking some heat, apparently unfairly, for the exercise being delayed--remains to be seen, however. Observers of the awkward efforts to explain the war-games postponement can't help but wonder at the fact that an exercise that was supposed to show unprecedented mutual cooperation between the United States and Israel with an eye toward Iran has instead revealed signs of strain and apprehension in the two countries' defense relations. WASHINGTON — The exercise between the U.S. Army and the Israel Defense Forces, scheduled to be held this spring, has been postponed to the latter half of the year. The decision, taken jointly by the European Command (EUCOM) and by the IDF, stemmed solely from technical issues. Such postponements are routine and do not reflect political or strategic concerns. The United States and Israel remain committed to holding the exercise -- code-named Austere Challenge 12 -- the largest and most robust in their historic alliance. For further Kremlinology on the war games delay, see these pieces from Marsha Cohen and JTA's Ron Kampeas. UPDATE 2: Israeli Defense Minister Ehud Barak told Israel's Army Radio Wednesday that he asked Defense Secretary Panetta to postpone the war games, "and not the other way around," Haaretz reporter Barak Ravid wrote on Twitter. SEC. 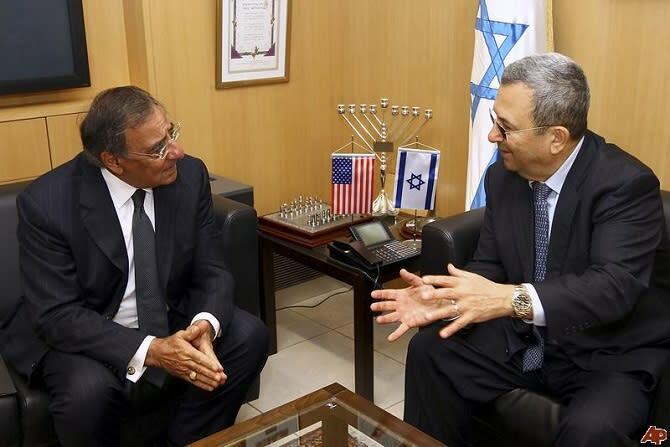 PANETTA: On the question on the exercise, the minister -- Minister Barak approached me and indicated that they were interested in postponing the exercise. We looked at it and determined, as we always do -- this is, I think, about the -- you know, this is a number of exercise -- it's about twelfth exercise we've had -- that in order to be able to plan better and to do this so that we would be able to conduct that exercise, that it would be better postpone it, to have planning efforts that would lead up to the exercise and to get it done. So we're both committed to making the exercise occur, but they thought it would be better if we, you know, postponed it until a later date in order that we could plan better for the exercise. Israel Defense Minister requested delay in planned war-game with U.S.
Want more of our best national security stories? Visit The Envoy or connect with us on Facebook and on Twitter. Want more politics? Visit The Ticket or connect with us on Facebook, follow us on Twitter, or add us on Tumblr. Handy with a camera? Join our Election 2012 Flickr group to submit your photos of the campaign in action.